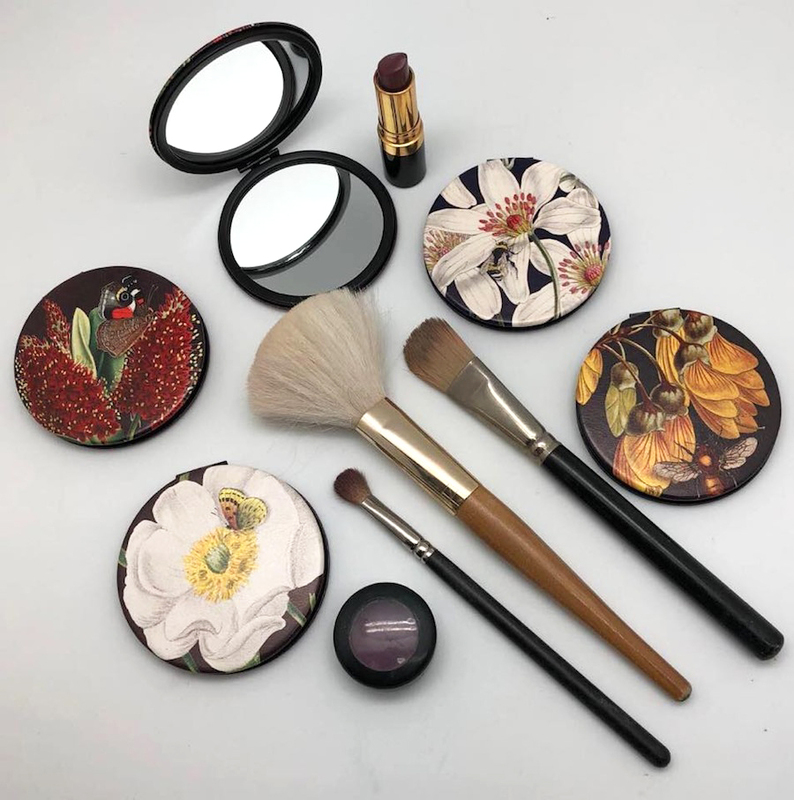 Another addition to the ‘Old Master’ range are these compact mirrors. 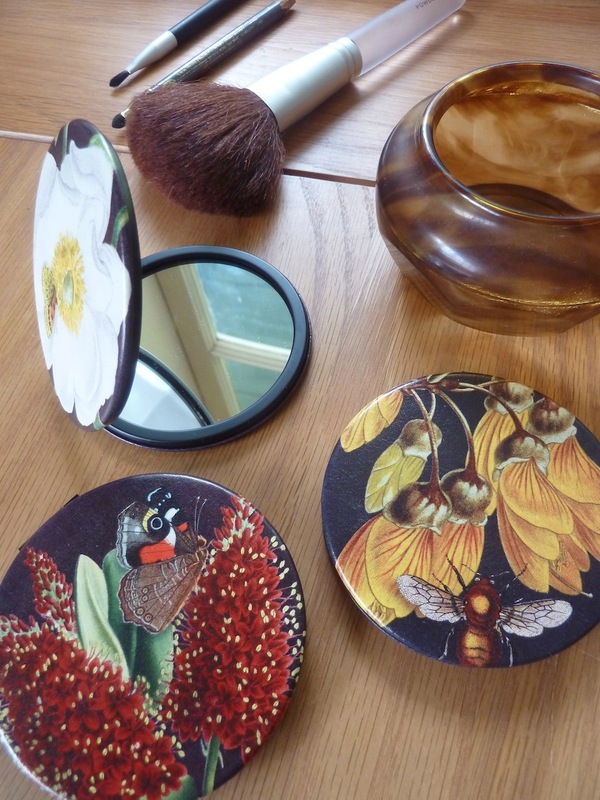 Printed on a quality leatherette they have a lovely feel and encase two mirrors, one normal and one magnifying. A great stocking stuffer for Christmas they are a fab gift or for your own cosmetic collection. The flowers (clockwise) are NZ native clematis, kowhai, Mt Cook lily and hebe. Published by Live Wires NZ Ltd and designed by Tanya Wolfkamp. The other items in this range are boxed soaps, iPhone cases, gift wrap, placemats and coasters.